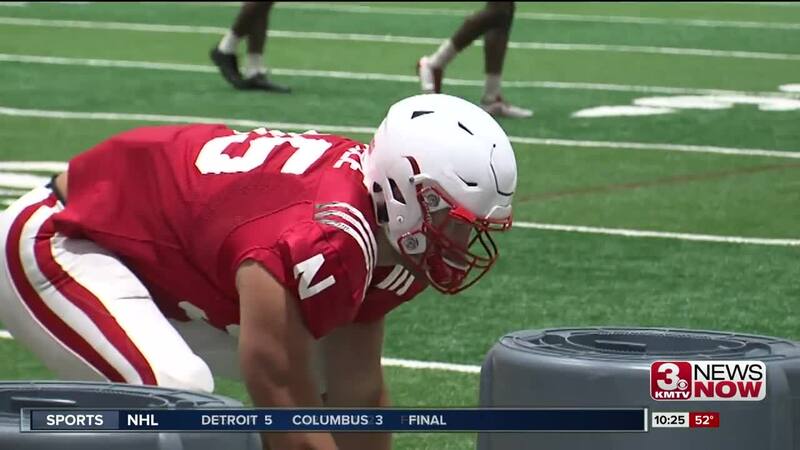 Sophomore Ben Stille is Nebraska's newest Blackshirt. The coaches offered one to Stille last week but he turned it down, saying he wanted to play better in practice before receiving the black uniform. "I asked Chinander if I still deserved it and we went from there," said Stille. "Just effort on every play. I thought the snaps we were in there as a defensive line as a whole we played well." "Coach Frost grades the players each game at every position and he was the defensive line guy for us," said Defensive Coordinator Erik Chinander. "He practiced well and he played well." The Ashland-native is the 13th-Husker this season to be given the dark jersey.